What is the true carbon impact of building a building? That’s a good question. And one that comes at a moment when Canadian cities are exploding with new and renewed infrastructure. While many of these builds boast a greener and more sustainable final product, very few look at the carbon impact of a project’s entire lifecycle – that is, from construction to operation. A new software-based app being developed in Toronto aims to do just that with data that is currently being collected from Evergreen’s Kiln Building Redevelopment, an ambitious project that is serving as a test site for new and more sustainable design and construction practices. EllisDon, Evergreen’s lead industry partner on its Kiln Building Redevelopment at Evergreen Brick Works, and researchers at the University of Toronto have teamed up to create a new Carbon Accounting Tool, which would quantify greenhouse gas (GHG) emissions generated during the lifecycle of a new build or retrofit project. 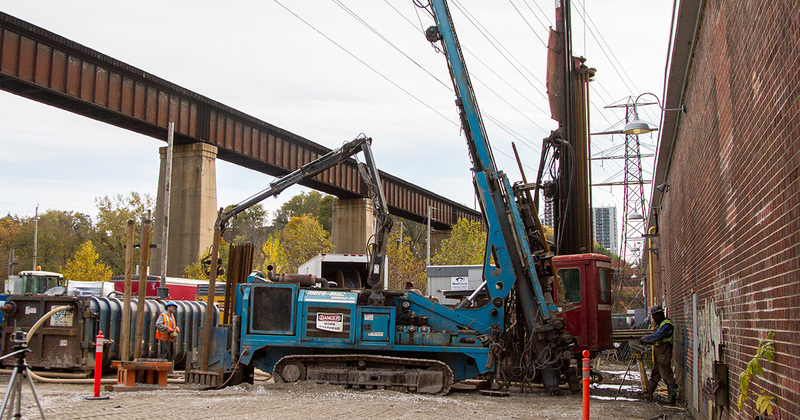 The proposed tool would track emissions, ranging from the raw material extraction through to construction and operations. It would also assess the material, methods and operations that drive emissions, ultimately transforming the construction industry and the supply chain into a low-carbon sector – a major step in making cities flourish. Data is already being compiled. 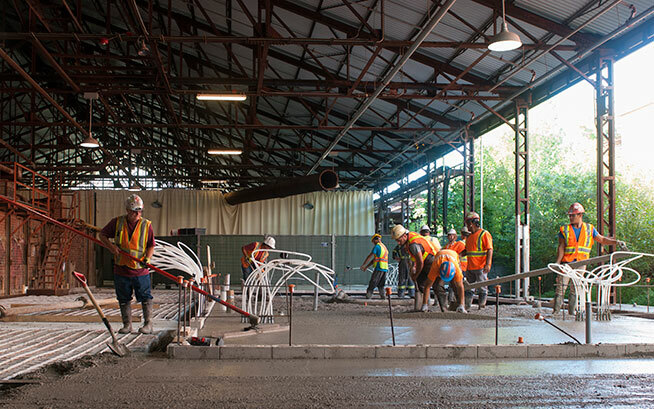 Since breaking ground in March 2017, Evergreen’s retrofit of its 53,000-sq-ft kiln building at Evergreen Brick Works – one of the first projects in Canada to strive for a carbon neutral target - has had its every move documented. How many delivery trucks were onsite? How many kilometres did they travel? What kind of fuel was used? How much energy? What was the source of power? The Kiln Building Redevelopment presents a unique perspective on how to push the boundaries of green design within a historic site, but also delivers on-the-ground real-time learning in how to accelerate the shift towards greener building standards. Once the data is collected and analyzed, the tool will calculate the GHG number in tonnes to help identify areas where emissions are highest and provide industry with solutions and strategies on how to reduce or offset emission over the project’s lifetime starting at the early design phases. The potential impact on how we accelerate the shift to low-carbon cities is huge. Stay tuned for its findings!